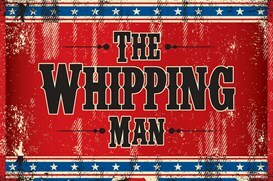 There are only three chances remaining to see the riveting play on stage at the Arkansas Rep – Matthew Lopez’s award winning The Whipping Man. Performances are at 8pm tonight, 2pm tomorrow and 7pm tomorrow night. This entry was posted in History, Theatre and tagged Allan Branson, Arkansas Repertory Theatre, Clybourne Park, Damian Thompson, Dan Kimble, Gilbert McCauley, Lynda J. Kwallek, Matthew Lopez, Michael A. Shepperd, Mike Nichols, Ryan Barry, The Whipping Man, Yslan Hicks by Scott. Bookmark the permalink.